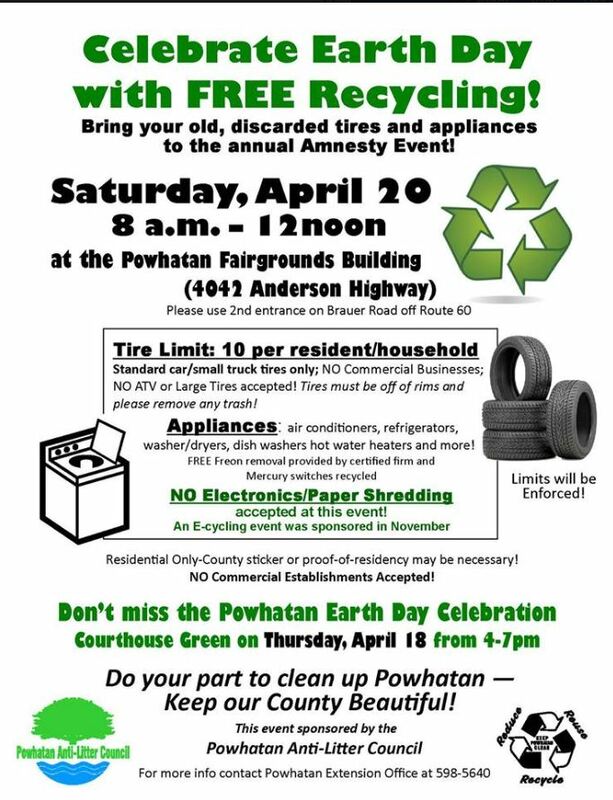 To celebrate Earth Day, Powhatan County will be hosting a free recycling event on Saturday, April 20, 2019 from 8a.m. to 12 noon at the Powhatan County Fairgrounds (4042 Anderson Highway). 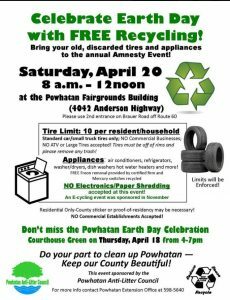 Powhatan County residents can bring old tires and appliances for recycling. NO electronics or document shredding as in this event).